Mosquitoes are not the only insects that carry diseases, bacteria, and viruses, because there are a lot of other insects that can do harm to the environment and our health. Flies and cockroaches can be as harmful just like with the mosquitoes - they can spread different diseases just by existing; even the slightest contact can be fatal. In order to avoid all these, environmental management and chemical control must be taken into account. For Environmental Management: observing good cleanliness and proper hygiene. Doing these, mosquitoes, flies and cockroaches can be kept at bay. Also, by using powerful and effective insecticides, these pests can easily be controlled and avoided. Lets' welcome 2017 with ATC newest product the STRIKE VARIANTS. A new way of protecting our families and ensuring the safety of our loved ones from insects that carry harmful diseases. The newest and most promising cockroach killer - STRIKE Cockroach Killer. Compared to other household aerosol insecticides and cockroach killers, Strike Cockroach Killer is different—it does not use oil and alcohol as solvent because it is made up of a water-based formula. 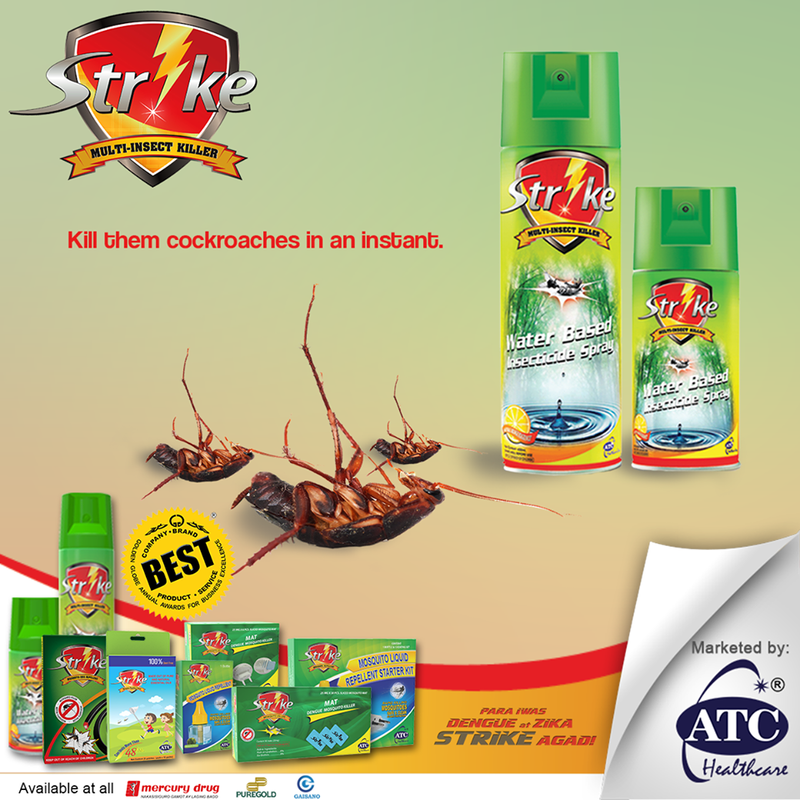 Strike Cockroach Killer is made as a water-based aerosol developed with deionized water that has been proven to be more environmentally friendly and an effective cockroach killer. 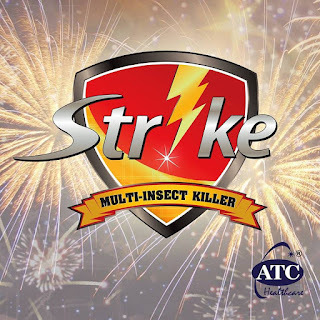 Strike Cockroach Killer has fast killing action that gets rid of cockroaches right away. 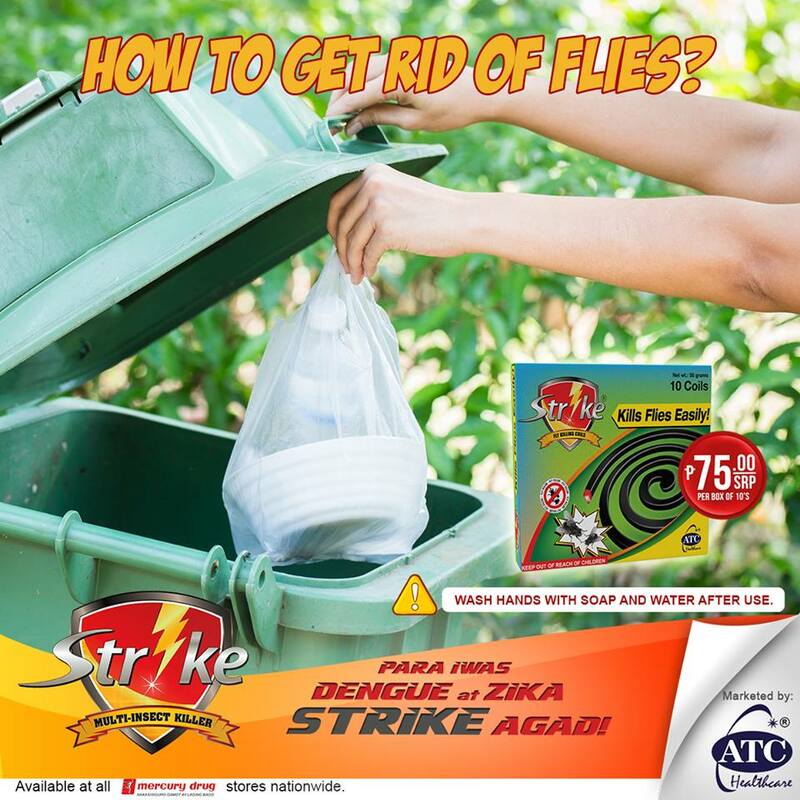 STRIKE Fly Killing Coil, a highly effective in repelling flies by performing steadily, safely and cleanly in the most economical way possible. Most coils are made using inferior materials which cause unpleasant odors, short ignition time and poor insecticidal effect which could cause major hazards to human and animals. Unlike other colis, Strike Fly Killing Coil is developed in the most scientific and secured process which does not include harmful materials. Though very affordable, Strike Fly Killing Coil has natural environmentally advanced raw carbon powder which is long lasting, effective insecticide effects and safe for all. STRIKE Mosquito Killer is not the usual household aerosol insecticide, compared to other brands which uses oil and alcohol solvents. 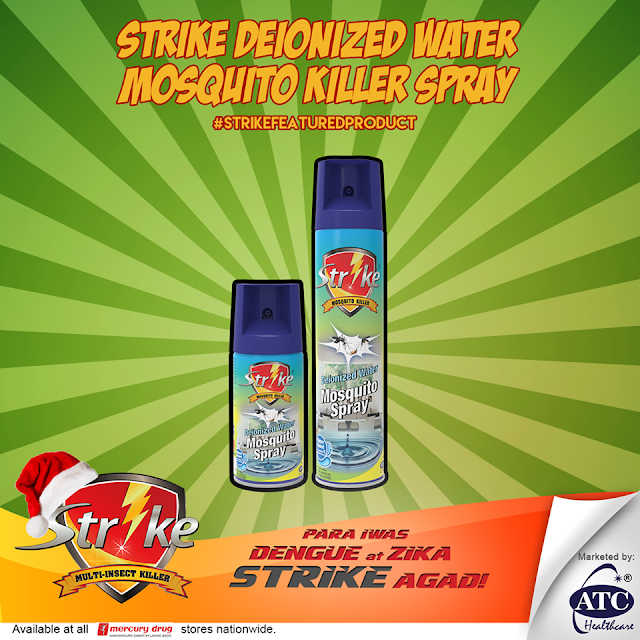 Strike Mosquito Killer is made as a water-based aerosol developed with deionized water that has been proven to be more environmentally friendly while being an effective mosquito killer. 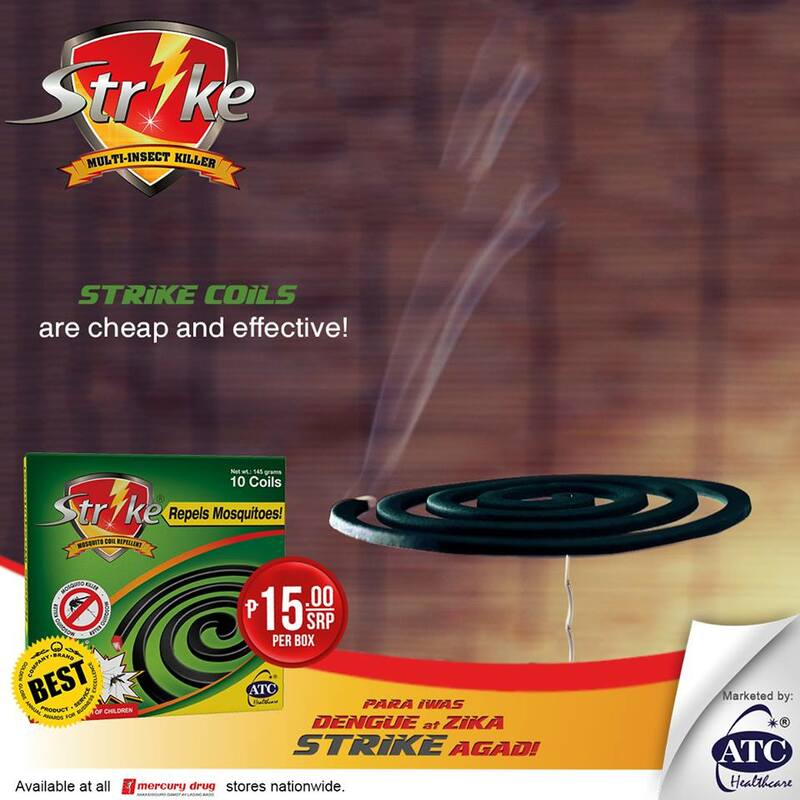 Strike Mosquito Killer has fast killing action that gets rid of mosquitoes right away. STRIKE Variants can instantly help you get rid of harmful insects without harming the environment, people, pets, plants and furniture. 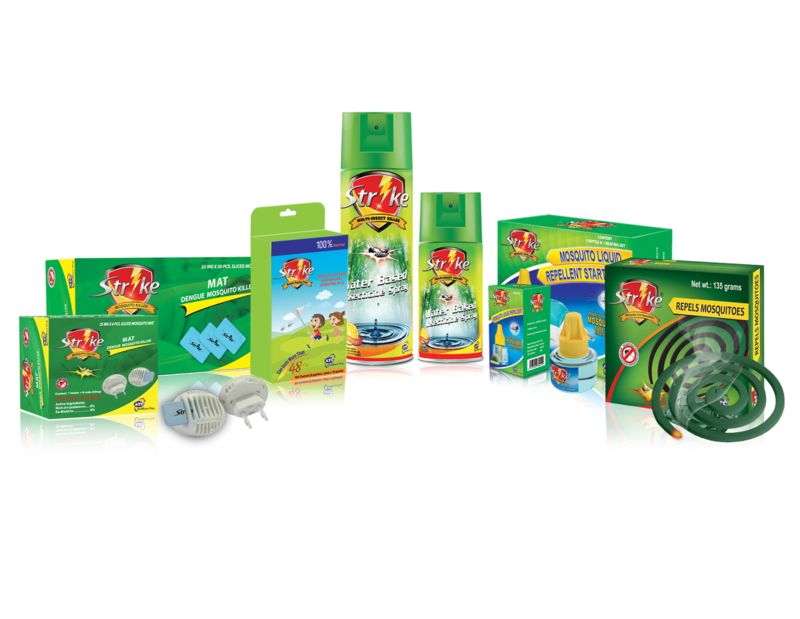 It is PROVEN EFFECTIVE and VERY AFFORDABLE compared to other mosquito killing brands! "Para iwas dengue at Zika, Strike agad!"